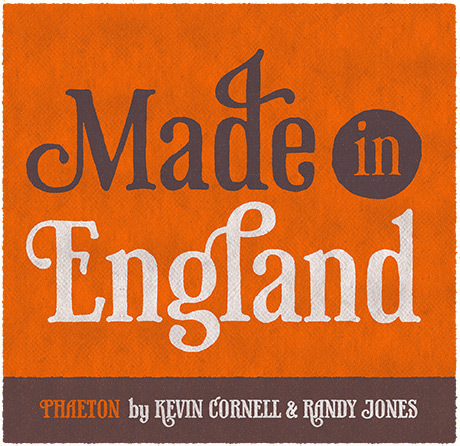 I‘m a massive fan of Kevin Cornell’s illustration work, so was delighted today when I saw he’s made his first font – Phaeton. Like most of his stuff it’s straight out of the Victorian era, oozing with charm & character, and chock-full of different ligatures & vignettes. You can get it for £35 from Veer. He was helped out by typographer Randy Jones, who’s made a similar hand-drawn type – Olduvai. Sadly my budget didn’t quite stretch to that.. but it looks very nice. Jul 28	This entry was posted in Handmade, Illustration, Stuff to Buy, Typography by cookie. Bookmark the permalink. This looks really nice, cookie. The font and filter work perfectly together. I’ll definitely have to look into these. Thanks. I’ve got a photoshop filter called Permanent Press, it makes stuff look like old school inky prints. I just make a black box the size I need, apply the filter to roughen the edges a bit and then use that as a mask to make the boarder. Nice font! How’d you get that cool rustic edge look on the image?